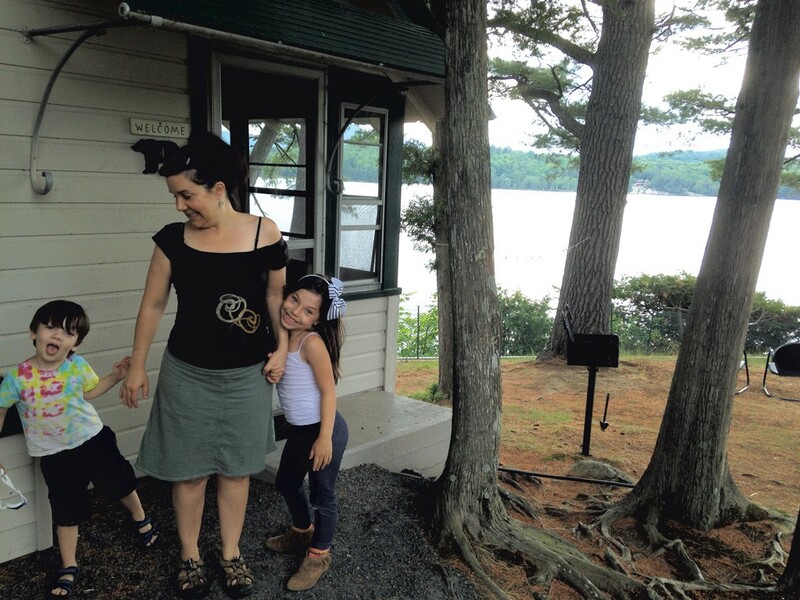 ADKs in the Rain: Soaking up the Fun in Long Lake, N.Y. | Features | Kids VT - small people, big ideas! 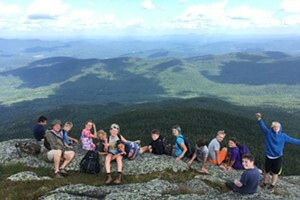 The Adirondacks' High Peaks region can be a mixed bag for summer vacationing with kids. When the weather is sunny and warm, the recreational opportunities are limitless: trails to hike; peaks to climb; lakes and rivers to swim, paddle and fish; and numerous beaches to explore. The cool mountain evenings are ideal for s'mores and stories around a campfire. 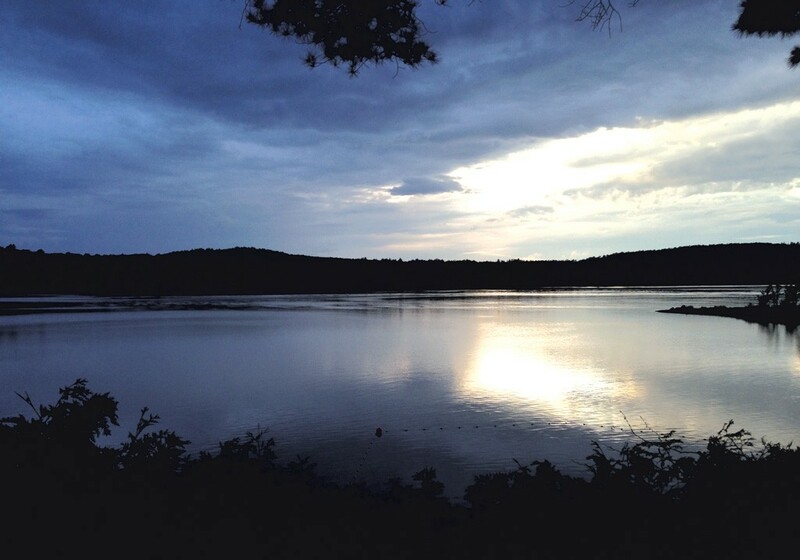 But when it's nasty outside, the area offers far fewer options, as my family found out on a mid-July weekend getaway in Long Lake, N.Y., when it rained nearly the entire time. 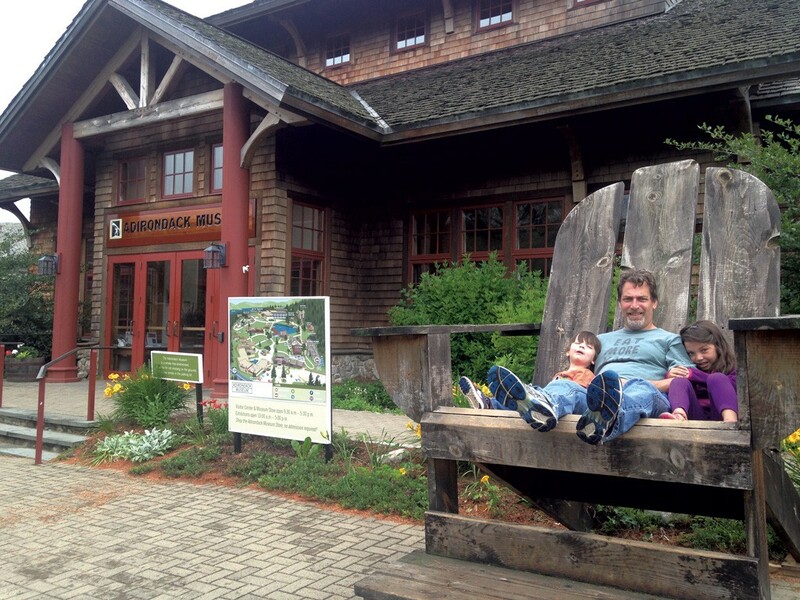 Still, with 6-year-old Manya and 4-year-old Ezra in tow, we managed to make the most of a soggy Saturday and Sunday, in part by availing ourselves of the Adirondacks' rich and diverse cultural history. The ominous forecast convinced me to snag a lakeside cottage rather than our usual economical choice — a primitive campsite on public land — as nothing ruins a weekend getaway faster than waterlogged sleeping bags. On the recommendation of a longtime Adirondack vacationer, I opted for a "housekeeping cottage" at Long Lake's Shamrock Motel and Cottages (1055 Deerland Road). Ours was small but quaint, with two bedrooms, one bathroom, a full kitchen and a screened-in porch. 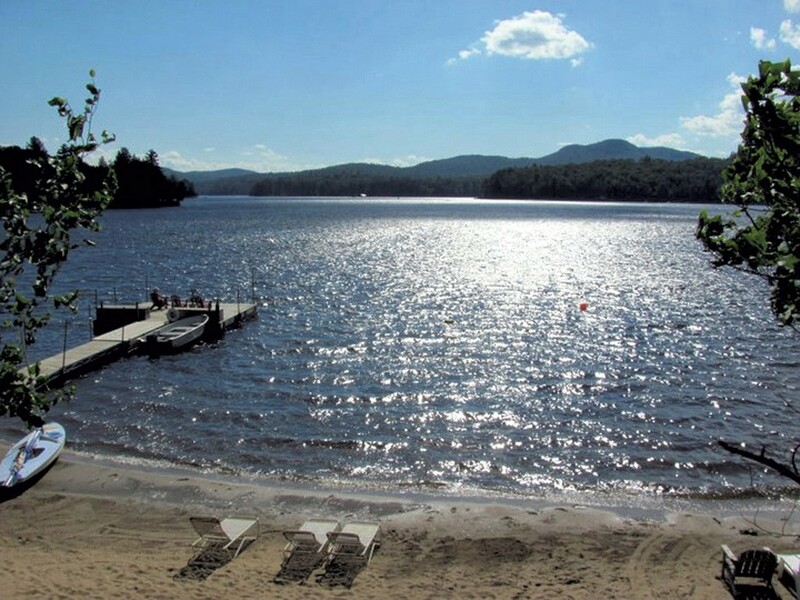 The Shamrock, owned by Tim and Beate Touchette, has been in their family for three generations and rocks a mid-20th-century Adirondack-summer-camp vibe. All the cottages have been renovated in the last decade and sit on a bluff overlooking 14-mile Long Lake below. The one and only smidgen of sunset we saw all weekend was beautiful, and we savored the view to the lonesome calls of a loon. Though most of the Shamrock's cottages rent for a one-week minimum during the peak summer season, ours was available for a two-night weekend stay at $150 per night plus tax. If we were staying longer, I'd opt for a larger one with a more spacious porch. Admittedly, the cottages are somewhat close to each other. Still, my wife, Stacy, and I never felt like we were encroaching upon our neighbors' space, or they upon ours. The Shamrock is in a desirable location, close to what few public amenities — restaurants, bars, general stores, ice cream stands — exist in Long Lake. If you can't score a cottage or motel room at the Shamrock, similar accommodations are available nearby at the Motel Long Lake & Cottages (51 Dock Lane), Journey's End Cottages & Lake House (941 Deerland Road) and Water's Edge Cottages (957 Deerland Road). At the Shamrock, each cottage has its own outdoor barbecue grill beside a short walking path that leads down to a private and largely secluded sandy beach. Our kids enjoyed it on the first night, wading into the water and playing on the hotel's dock until dark. Had the weather been more forgiving, we likely would have rented kayaks, canoes, paddleboats or even a small motorboat, all of which are available on the premises for a nominal fee. For inclement days, the Shamrock offers a game room that includes Ping-Pong, foosball, cable TV and a StairMaster machine. Instead of those activities, we spent about an hour browsing through nearby Hoss's Country Corner (1142 Main Street), where we picked up several coloring books and games. Hoss's is your archetypal Adirondack tchotchke shop, filled with a plethora of summer cottage or deer camp schwag sporting images of wood-etched wildlife. Whether you need fishing lures, trail maps, beef jerky, salmon filets, stuffed animals, snow globes, long underwear or pine-scented toiletries, Hoss's likely has it, in spades. Afterward, we grabbed ice cream at Hoss's Coner across the street. There's also Custard's Last Stand (1136 Deerland Road) on the other side of the road. When the skies are clear, adventurous souls can book an aerial tour at Helms Aero Service, where seaplanes offer a bird's-eye view of Long Lake and the surrounding high peaks. 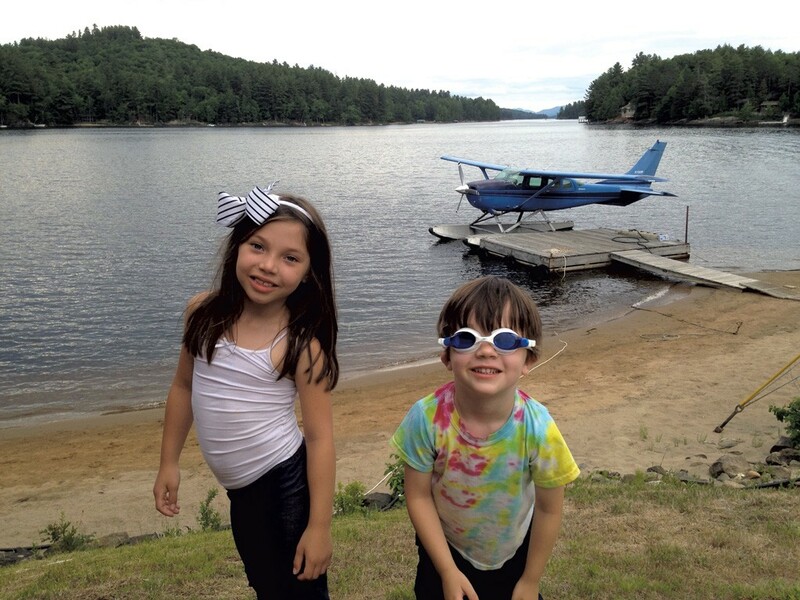 Tickets for 15 to 20 minutes in the air — $40 per adult; $20 for kids 13 and under (a minimum of $90 per flight is required) — are available at Helms' beachside shack, located directly across the road from the Adirondack Hotel on Long Lake (1245 Main Street). Don't miss the photos of various celebs who've flown here, among them a young and fresh-faced Mick Jagger. Near-constant downpours and the occasionally violent thunderstorm marked our Saturday, so the Adirondack Museum (9097 NY Route 30, Blue Mountain Lake) was our saving grace for the day, if not the entire weekend. If you've never been there, or even if it's been a while, the museum — $18 for adults 18-61; $12 for teens 13-17; $6 for youth 6-12; free for kids 5 and under — is definitely worth a daylong visit, even when the weather is nice. Stacy hadn't been there in more than 20 years and said it all looked new to her. Unlike some museums, where little ones can quickly grow bored, this one has enough hands-on activities to keep kids occupied for hours. From the very first exhibit, I knew the Adirondack Museum was a hit. "The Great Outdoors" lets kids pretend they're on a camping trip in the deep woods. Ezra particularly enjoyed poking his head into the ice-fishing shanty and pushing buttons that played the recorded sounds of motorboats, snowmobiles and ATVs. I officially qualified as an old fart when I saw an exhibit featuring outmoded camping gear I once owned and used myself. Nearby were Manya and Ezra's two favorite exhibits. The first was "Little Log Cabin," a child-scale log dwelling like the ones the original white settlers to the region inhabited. 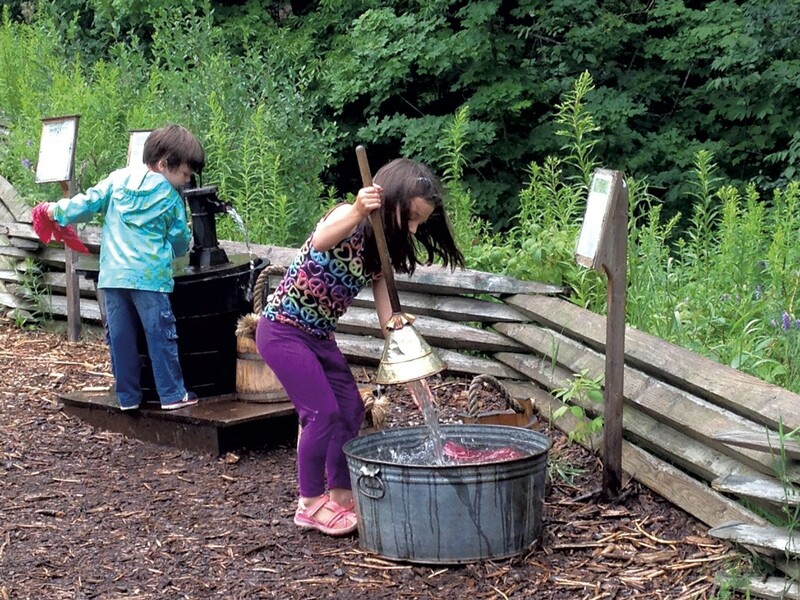 It includes a "wash day" activity station where kids can reenact how people used to do their laundry, from hand-pumping water from a well into a wooden bucket to soaking and plunging clothes in a wooden basin to scrubbing them on a washboard to running them through a wringer and hanging them on a clothesline. If that sounds unappealing, clearly you're not 4 years old. The other favorite was the "Reising One-Room Schoolhouse," where kids can read books, play with toys and sit at authentic 19th-century desks. Adults will get a kick out of reading the posted rules that could cause a teacher's immediate firing, including "Marriage or other unseemly behavior by women teachers," and "Joining of any feminist movement, such as the Suffragettes." Scandalous! Stacy's and my favorite part was "Work in the Woods: Logging the Adirondacks." The educational exhibit combines historic photos, dioramas, artifacts and first-person accounts of the daily lives — and deaths — of lumberjacks from the region's timber trade. I left wondering why Vermont doesn't have a comparable tribute to its own wood-products industry. 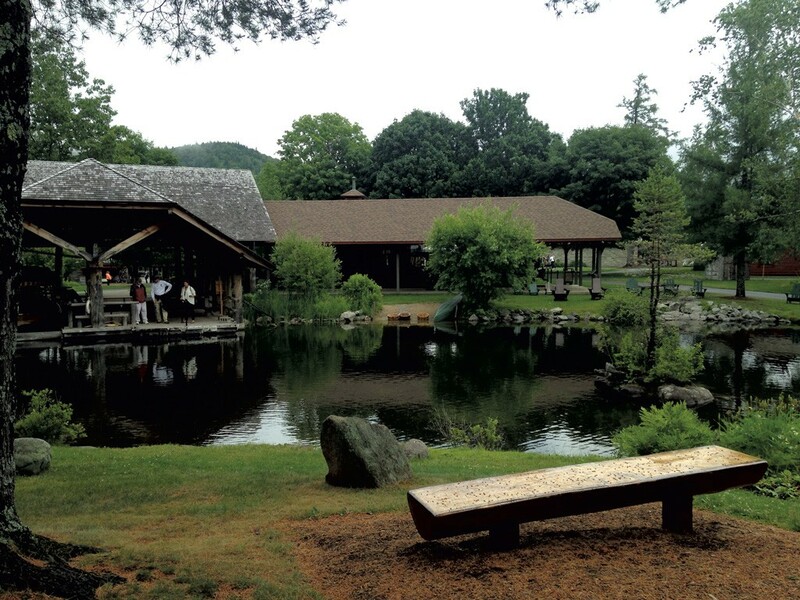 Had we not been there just last summer, we would have returned to the Wild Center (45 Museum Drive, Tupper Lake), which is a mere 25-minute drive from Long Lake. Best visited in good weather to enjoy the new Wild Walk — a trail of bridges that leads through the treetops and features a giant spider web and eagle's nest — the center also has plenty of indoor activities and attractions. They include tanks of fish, turtles, snakes, otters, porcupines, and other animal and plant species. Another museum we planned to visit was the quirky Saranac Laboratory Museum (89 Church Street), the first medical lab in the United States devoted to the research of tuberculosis. It includes the restored lab of Dr. Edward Trudeau, who pioneered the prevention and treatment of TB and made Saranac Lake an international destination for those with "consumption." It also has a fascinating exhibit, running through fall 2016, called "Medical Marvels: Science or Quackery?" On display are antique medical devices from throughout the ages, some of which were of dubious benefit to the patients subjected to them. 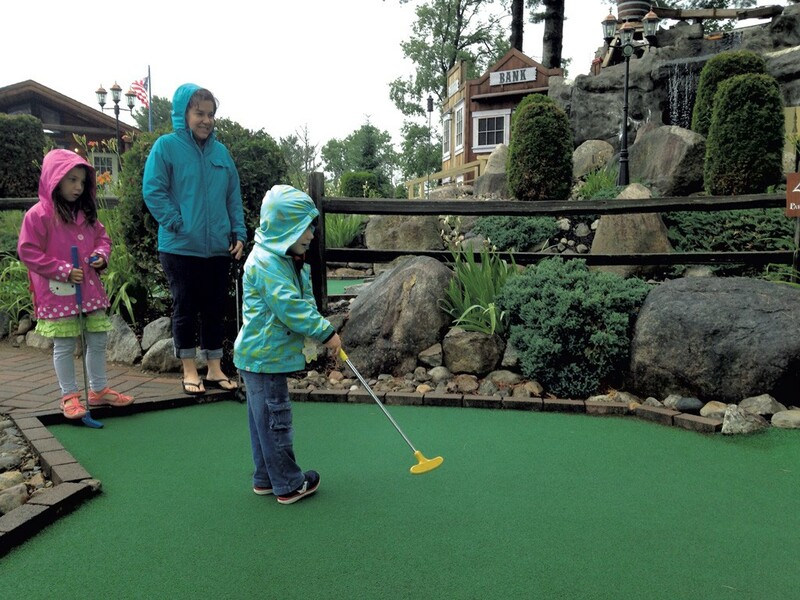 Sunday's weather improved from drenching rain to a drizzle, so we opted instead to drive about an hour to Lake Placid, where our foursome played 18 holes at Boots and Birdies Miniature Golf (1991 Saranac Avenue). Kitschy but cool, the Wild West-themed course winds through caves and waterfalls. In drier weather, older kids can check out the Ropes Adventure Challenge Course as well as the Eurobungy, the latter of which involves a harness, bungee cords and some puke-inducing bouncing (best enjoyed before lunch). For meals in Long Lake, we decided to dine out rather than make our own. Although the options are pretty limited, we enjoyed a nice dinner our first night at the Adirondack Hotel on Long Lake. Built in 1853, the hotel combines Victorian and rustic Adirondack designs and, in 1914, got a four-story addition. It features two restaurants, a pub, a gift shop and a spacious veranda for outdoor dining. (Don't make the mistake of calling it a "porch.") Despite the Victorian Room's chichi appearance, the atmosphere was chill — most patrons wore shorts, T-shirts and sandals — and the menu diverse. For garlic-lovers, I strongly recommend the garlic cheese fries. Stacy had a tasty peach and gorgonzola salad; I had a Buffalo chicken sandwich; and the kids, a no-nonsense mac and cheese. Had we wanted more upscale meals, we could have ordered the venison sausage, bouillabaisse, sesame-crusted tuna or linguini with heirloom tomatoes, shallots and lobster meat finished with Chardonnay. For breakfast on Saturday, we followed a recommendation and headed to the Long Lake Diner & Owl's Head Pub (1161 Main Street) but were somewhat disappointed. Though the food was OK — I had a breakfast burrito with a less-than-impressive side of potatoes; Stacy had a diner basic of two eggs over easy — it took nearly an hour to arrive. That was especially irksome, as Ezra just ordered a bowl of cereal and Manya, a toasted bagel. Moreover, the "Beware of attack waitress" sign behind the counter proved spot on. In fairness, the kitchen was slammed due to a post-funeral luncheon scheduled that day. Still, I'm always ready to cut waitstaff slack if they just explain the problem to customers. Ours did not. For dinner Saturday night, we took the advice of an Adirondack Museum docent, who suggested Long Lake's The Cellar Restaurant & Pub (3 Kickerville Lane). Though nothing fancy, the food was fast, ample and very good. I ordered chicken fingers and was pleasantly surprised by their size and tastiness. Stacy had a New York strip steak that was grilled perfectly. We enjoyed a more relaxed, takeout breakfast Sunday morning with bagels from Long Lake's Lakeside Knoshery (1240 Main Street). To find such authentic New York City Jewish deli fare this far into the North Country was a truly unexpected pleasure. I savored my whitefish salad on an everything bagel, while Stacy enjoyed lox and cream cheese on pumpernickel. Had we eaten on-site rather than getting takeout, I would have tried their Shangra-Latkas, aka authentic potato pancakes. Long Lake is a two-hour drive from Burlington. Cabins, motel rooms and even primitive campsites tend to book up weeks, if not months, in advance, especially on holiday weekends. There are limited rest stops for gas, snacks and potty breaks. Also, because much of the drive goes through the Adirondack Park itself — you know you're within the park boundaries by the yellow-on-brown town and street signs — cellphone coverage is spotty, and some GPS units may not be operational the entire way. As a precaution, bring paper maps and use them as an opportunity to teach your kids how they did it, as Manya said, "in the olden days."